Designed to help fitness professionals discover solutions for their clients’ health and dietary needs. More and more often, fitness professionals are experiencing difficulties navigating and integrating effective nutritional strategies that stay in step with their clients’ goals, fitness programs, and schedules. Additionally, clients have more nutrition preferences than ever before. Some are solidly based on religious restrictions, dietary choices (vegan, pescetarian, etc. ), and medical reasons, while others are based on longstanding myths and flighty trends. Fitness professionals want to be able to give quality nutrition advice. But with so many obstacles, with so much conflicting information, it’s no wonder so many personal trainers and group fitness instructors are wary of imparting any nutrition advice at all. The need for solid information is at an all-time high – as is the need for top-quality nutrition coaches – ones who feel confident in the areas of science, behavior change, and coaching. To meet this demand, NASM has spent years developing a new program: NASM Nutrition Certification. Working with over 20 experts in the fields of nutrition, metabolism, physiology, psychology, behavior change, etc., NASM Nutrition Certification is one of the most robust programs we’ve ever offered. Those who successfully complete the program will be NASM Certified Nutrition Coaches – or NASM-CNCs – able to help clients construct effective meal plans, inform and advise clients with real facts based on real science, and help change any potentially destructive dietary behaviors. What’s more, anyone can take this certification. From expert trainers, to beginners. No fitness background is necessary. And since the entire program is geared towards student success, there should be plenty of NASM-CNCs out in the fitness community soon enough. Because NASM took a slightly different approach with this program. In doing so, the lessons become more memorable, and – forgive the pun – easily digestible. Working with cutting-edge interactive and multimedia designers, NASM purposefully set out to create an instructional experience that was also fun, engaging, and unlike any nutrition program in the market today, making it more of an immersive, interactive experience. Everything about it is geared towards the trainee’s success. Unlike NASM’s Fitness and Nutrition Specialization – an equally effective program that covers the basics of the physiology and biochemistry of nutrition and dietetics (and is an excellent compliment to this course) – NASM Nutrition Certification combines cutting edge science with real-world implementation techniques. Nutrition Science covers some of today’s hot topics, such as how to separate the truths from the myths when it comes to food and diets; what the facts are about proteins, carbs, fats, macronutrients, micronutrients, and other food controversies; as well as the latest cutting-edge science in all things related to health, wellness, and nutrition. In Behavior Change Strategies, trainees learn crucial information about the psychology behind getting trapped in dietary patterns – and how to break out of them, the power and effectiveness of goal-setting, and how to change lifelong habits for good. Finally, in Nutrition Coaching, everything learned in the previous two areas are approached from a real-world perspective – shopping for groceries, reading labels and ingredients lists, calculating portion sizes, etc. Also in this area: teaching clients how to navigate restaurants, parties, and other places where dietary hazards lurk, as well as how to teach effective daily habits so clients can improve their own lives. As opposed to other nutrition courses, Nutrition Certification does not take a “one-size-fits-all” approach. With successful completion, NASM-CNCs will have the ability to take into consideration all of their clients’ various backgrounds, religions, and circumstances. Using that knowledge, they can design and deliver individualized nutrition programs for their clients, no matter their dietary needs, preferences, and/or restrictions. 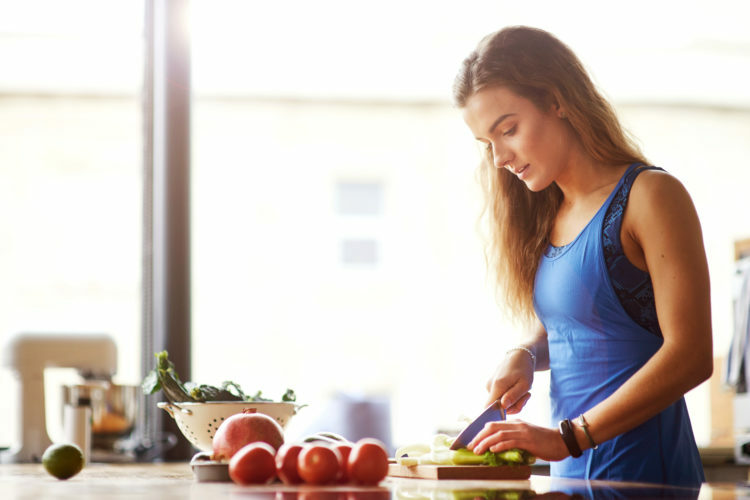 For any fitness professional – or anyone in general – looking to venture into the world of nutrition coaching, look no further than NASM Nutrition Certification. It’s your recipe for success.